See below for some excellent, unsolicited customer reviews! I just wanted to drop a note to say THANK YOU!!! We have been using your preschool curriculum for a month now, and my boys (4 and 21 months) are LOVING, LOVING “school”!! I was previously using Before Five In A Row, with groans and screams. My 4 year old BEGS me to do school! What a blessing!! 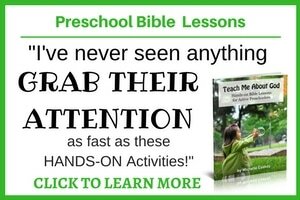 We are also using Teach Me About God, and my 4 year old adores that too! My husband ordered your Teach Me About God book. I can’t believe how quickly it came! I am soooo excited to have it in my hands. I kept looking at your online sample, every time you send out an e-newsletter and wanting it. (and I frequent your site to read the articles) I have been wanting it but thought I might be able to find things on my own. Well, God showed me that since waiting to pick and choose from different sources wasn’t happening, He wanted me to get what He has already poured out through you. Your book is beautiful. I love the simplicity of the way you have it all laid out and and I love the activities! I am most excited to be able to pick up the book and get to the lesson without much preparation time. I am anxious to begin this in the morning with my kids. I want to thank you for sending it out so quickly. Most of all, thank you for allowing God to use you to help busy moms build into their children. May He pour out His blessings upon you! We are having a great time with this program so far, my son was having some behavior problems, I think partly because he was bored. This gives us lots to do and I think we’re on the right track. I like how the Bible story features a young boy too….perfect! Thanks so much for your immediate help! My son, Zane, and I absolutely love the Teach Me About God Bible Curriculum! Having been a teacher for ten years and having an active boy, I especially appreciate the hands-on, interactive activities. They capture his attention and allow him to actively relive the stories of the Bible…imagine him as David, throwing stones with God’s help to knock down Goliath…or covered with painful sores caused by leprosy. Then picture Jesus touching him and healing him. The diversity of activities is also a wonderful aspect of this curriculum. The art activities help reinforce the Bible stories while boosting Zane’s fine motor skills and eye hand coordination. Performing the memory verses for Dad and friends has also become a favorite past time. As a missionary in Uganda, I especially like having the resources in Teach Me About God to tell the Bible stories without having to have all the story books. We actually love this Curriculum so much that we are going to use it with the children in the ministry’s Babies Rescue Home opening next summer. We begin each day with Breakfast and Bible and the boys LOVE the hands-on activities. I think their favorite was pasting “leprosy spots” on each other and then watching them wash away, just as Jesus made the leper clean. And I’m not a naturally crafty person, so I’m thankful for your ideas that are easy to use and the boys enjoy creating. 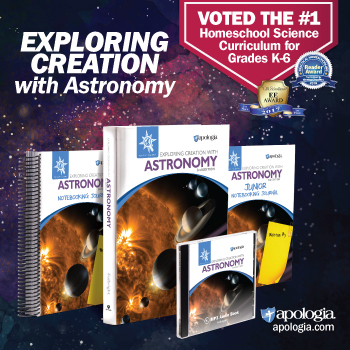 Thanks for helping to make the Bible come alive in a fun way for children!